Hyoho Niten Ichi-ryu or more correctly Hyoho Niten Ichi-ryū (二天一流), can roughly be translated as "the school of the strategy of two heavens as one". It is classified as a koryū (ancient school) (to learn more about the differences between koryū and gendai arts such as Kendo, Karate etc please check out this article - What is Koryu). 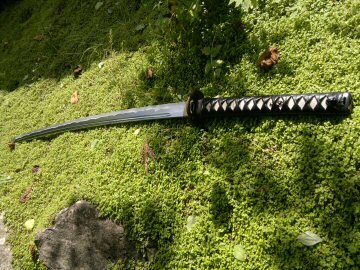 The style, famous for its simultaneous used of two swords (the katana and wakizashi, known in the style as the daitō and shoto respectively), from which it derives its name, was conceived of and developed by Miyamoto Musashi (宮本 武蔵), a famous samurai, artist, poet and author. He is well known in the West for his book on strategy; Go Rin no Sho (Book of 5 Rings). You can read more about Musashi - here. What is Hyoho Niten Ichi Ryu? 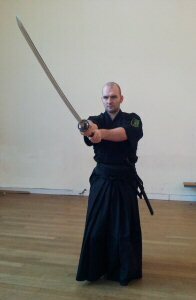 Hyoho Niten Ichi ryū is unique among kenjutsu styles as it focuses on the one handed use of the sword, be it the long sword (daitō) or short sword (kodachi). 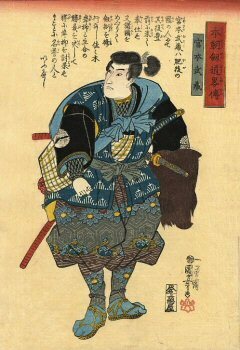 Musashi felt that there was limited flexibility and fluidity of movement when both hands are used on a single sword. 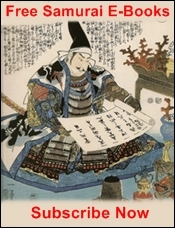 In his writings Musashi indicates that a sword was held in both hands is not easy to wield freely to either side, nor is it ideal for use when mounted on horseback. 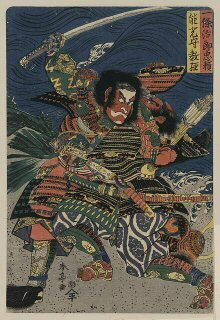 Musashi fought over 66 duels and won them all and he founded a number of schools of swordsmanship culminating in the Hyoho Niten Ichi Ryū. 4) Bōjutsu (棒術): Twenty techniques with a long staff bō (including 7 Bō Vs Bō techniques and 13 Bō Vs sword techniques). I'll be discussing Hyoho Niten Ichi Ryu a little more on the site, and reviewing the weapons used in the style itself as I have been given permission by Takanori Kajiya Soke, 12th headmaster of the Hyoho Niten Ichi Ryū to study the style in more detail. You've been reading about Hyoho Niten Ichi Ryu. 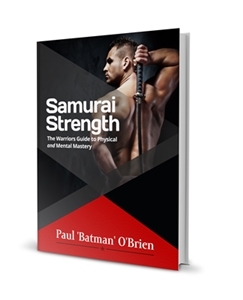 Read up on other styles of swordsmanship here.